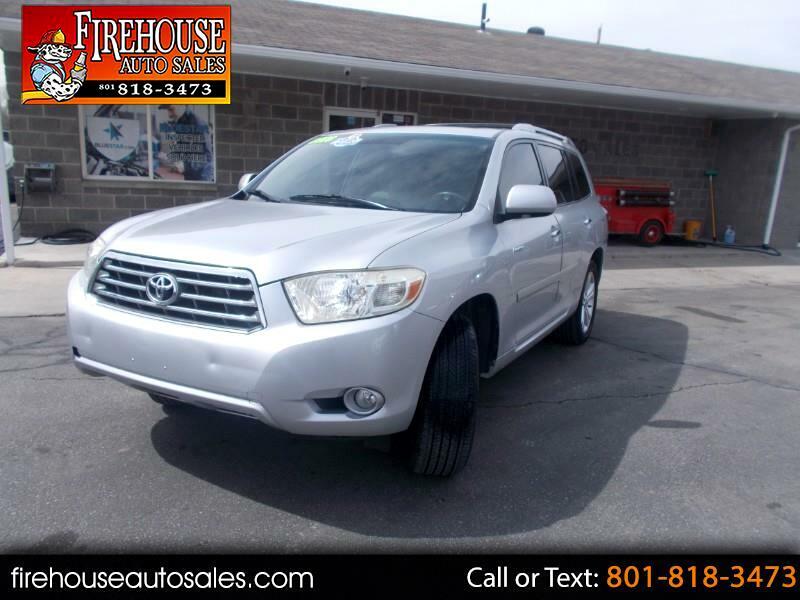 2008 Toyota Highlander LIMITED!! Silver With Gray Leather Interior! 1-OWNER CLEAN TITLE AND CARFAX!! V6 3.5 Liter,Automatic 5-Spd w/Overdrive,4WD,Cold Weather Pkg,Hill Descent Control,Hill Start Assist Control,Traction Control,Stability Control,ABS (4-Wheel),Anti-Theft System,Keyless Entry,Keyless Start,Air Conditioning,Power Windows,Power Door Locks,Cruise Control,Power Steering,Tilt & Telescoping Wheel,AM/FM Stereo,CD/MP3 (Multi Disc),Satellite Feature,Navigation System,Bluetooth Wireless,Backup Camera,Dual Air Bags,F&R Side Air Bags,Head Curtain Air Bags,Knee Air Bags,Heated Seats,Dual Power Seats,Leather,Third Row Seat,Moon Roof,Daytime Running Lights,Fog Lights,Roof Rack,Towing Pkg,Alloy Wheels.